Keith in front of Laguna Beach’s movie theatre, on Feb. 2, 2019. After hearing about his cordial nature and simple living quarters (Keith sleeps under a group of nondescript trees tucked away from public view in a nearby park), we went one step further. 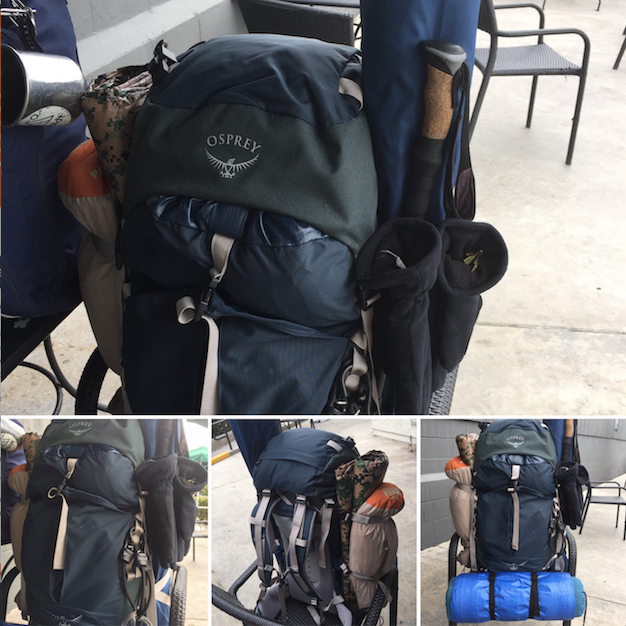 We asked our vendor to send us Keith’s height and weight, and then together we ordered him a new Kiva 70+5 Backpacking / Expedition pack from Osprey (a bag that’s only available to outdoor education and adventure recreation programs like ours). What prompted us to respond was our longtime support of causes related to homelessness and the residentially challenged. Witness our incubation of Education Without Walls — now a not-for-profit organization of its own. Education Without Walls is a year-round, prosocial program designed to help motivated teens with significant financial needs achieve academic and personal goals. Truth be told, the majority of Education Without Walls’ participants live at or below the Federal Poverty level, with many coming from families considered homeless but whom are working to improve their situation. When we heard about Keith and his optimism despite homelessness, it pulled on our heartstrings and we wanted to do something to help someone who — like the youth participating in Education Without Walls — was working on improving his situation in life, as well. 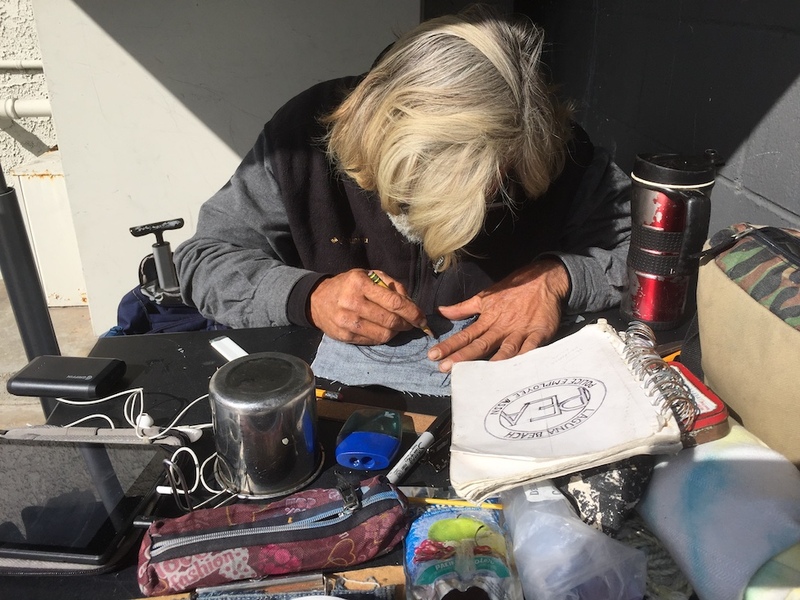 Keith, working on a patch for the Laguna Beach Police Employees Association, on March 22, 2019. How does Keith do this? By hand-drawing and then painting the patches he sells to passersby. Specifically, he applies acrylic paint by brushstroke to 100 percent recycled cotton denim that he finds at local thrift stores, then displays his wares for sale. How much you ask? Keith says he’ll accept whatever you’re willing to pay. He is emphatic when he tells our vendor that he never panhandles (unless you consider offering to create works of art in exchange for an occasional meal or payment to be panhandling — in which case, anyone creating and selling art is technically a “panhandler”). When his work day is done, Keith returns to the nearby park where he sleeps well, knowing that his art and good-natured approach to tourists and residents alike is as much a part of the fabric of the town as is its art galleries. And that’s saying something, because among Laguna’s claims to fame is a No. 1 national ranking when it comes to economic impact of the arts on a per capita basis. 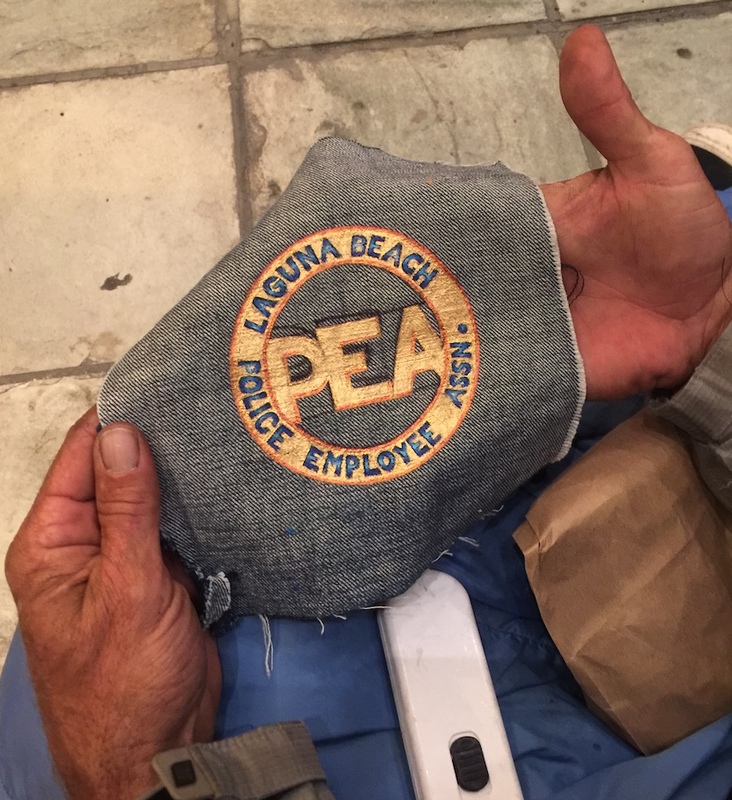 In fact, Keith is so much a part of the local community that he’s currently working on a commission for a patch for the Laguna Beach Police Employee Association (Laguna Beach PEA). Shown below, once the patch is done, the PEA will turn Keith’s artwork over to an embroidery shop, which will produce patches for use by local law enforcement. And most important, Keith said he is grateful for his outdoor living arrangement. “I see a lot of people who have it all and they are miserable.” He said that as long as he’s not a burden to others and can maintain his free nature, he’s happy. “I love being able to create something that no one else is doing,” adding he has no immediate plans for the future, preferring to live in the now. 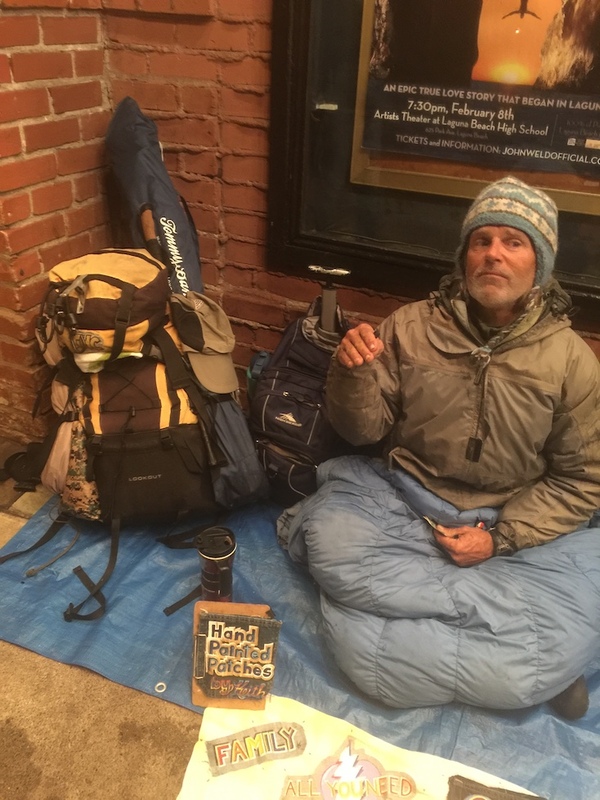 He says drug addiction does not dictate his outdoor living arrangement, listing off his “must haves” in order of importance: caffeine, nicotine, sugar, and then THC in a distant four. “Exactly in that order,” he said, laughing. Keith, post-haircut and shave (March 25, 2019). 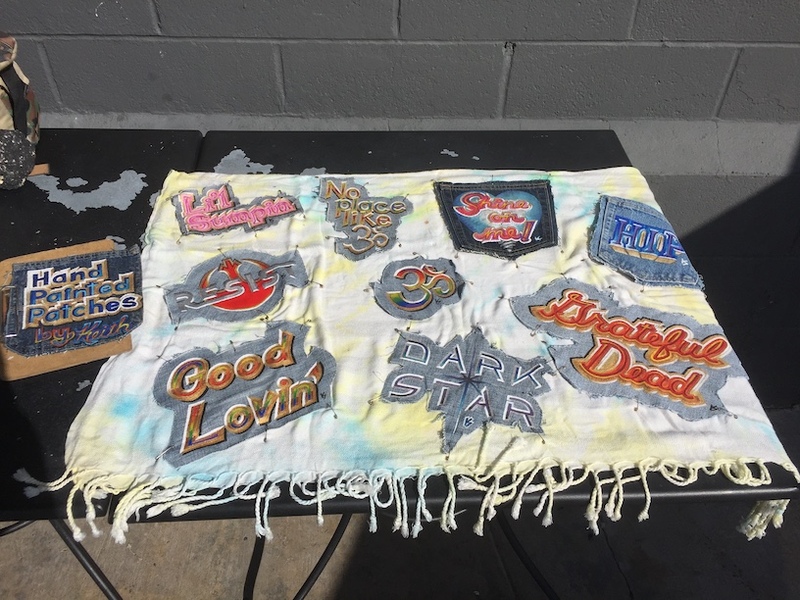 If anyone reading this post is interested in connecting with Keith to commission a colorful patch, feel free to contact Zac Adair, NCOAE’s co-founder and executive director, at (910) 339-8090. 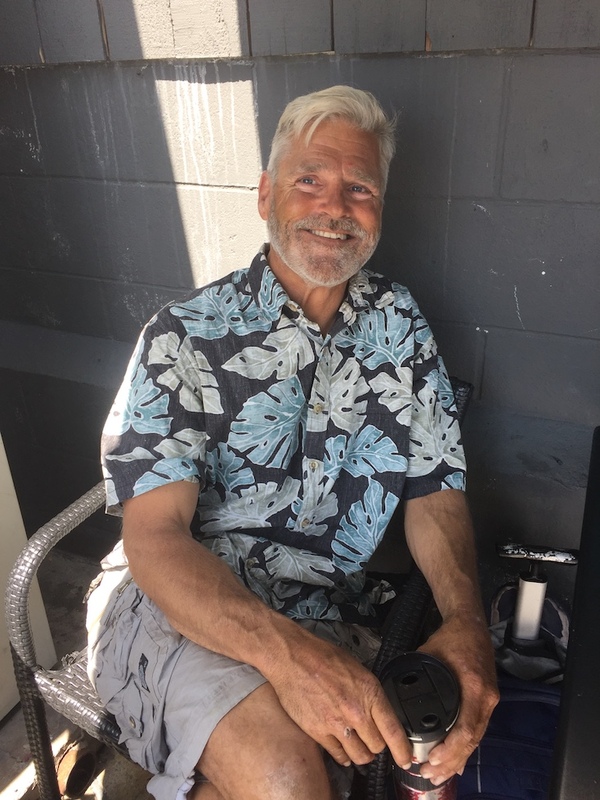 And if you ever find yourself between reality and the Pacific Ocean (i.e., in Laguna Beach), be sure to say hello to Keith for us!